Dr. Anna Xymena Wieczorek's dissertation has been published by transcript. 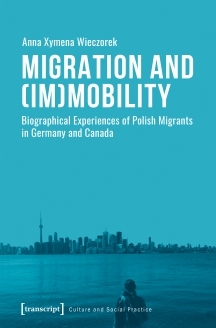 Her book Migration and (Im)Mobility: Biographical Experiences of Polish Migrants in Germany and Canada aims at overcoming the established methodological, conceptual, and empirical dualism of mobility and migration. 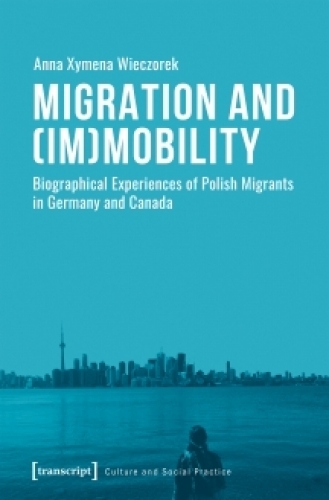 Based on empirical data gathered among young adults of Polish heritage in Germany and Canada Anna Wieczorek develops a “mobilities perspective” for migration studies by combining migration studies theories with approaches of mobility studies. She conceptualizes three patterns of (im)mobility, which illustrate the diversity of immigrants’ geographical movements after their initial migration. She thus reveals the different social configurations promoting or hindering the development, maintenance or shifting of each pattern in migrants’ biographical trajectories.